Ground Penetrating Radar: Theory and Practice is a practical guide to using this powerful underground surveying technique. The author uses her wide experience to explain the critical factors in using GPR and how parameters, such as wavelength, attenuation and loss need to be properly considered to obtain good survey results. The first chapter introduces the underlying physics and explains the formation of signal patterning. The next two chapters explain the significance of wavelengths for target detection, probing depths and resolution, and demonstrating the variety of signal presentation. Chapter four discusses why survey results are affected by water and air in the soil, and how this may affect depth readings. Additional chapters discuss a variety of methods for velocity calibration and suggests where they may be useful, challenging soil conditions and potential problem environments, data processing and a suite of useful techniques, amongst other important topics. 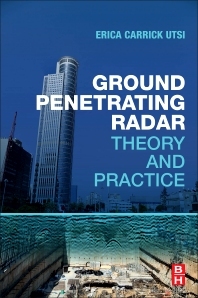 The book gives a clear and formative guidance on understanding the critical factors in using GPR, as well as a checklist of surveying considerations. What Do the Signals Represent? Target Spacing—How Close/How Far Apart? Erica Carrick Utsi is the former Chairman of the European GPR Association, and the former director of GPR manufacturer – Utsi Electronics Ltd. She is internationally experienced in most applications of GPR, especially in new adaptations and research of the field. She is also the author of a wide range of GPR papers, and was a co-author with David Daniels on GPR case histories and known physical principles. Former Chairman of the European GPR Association and former director of GPR manufacturer, Utsi Electronics Ltd.